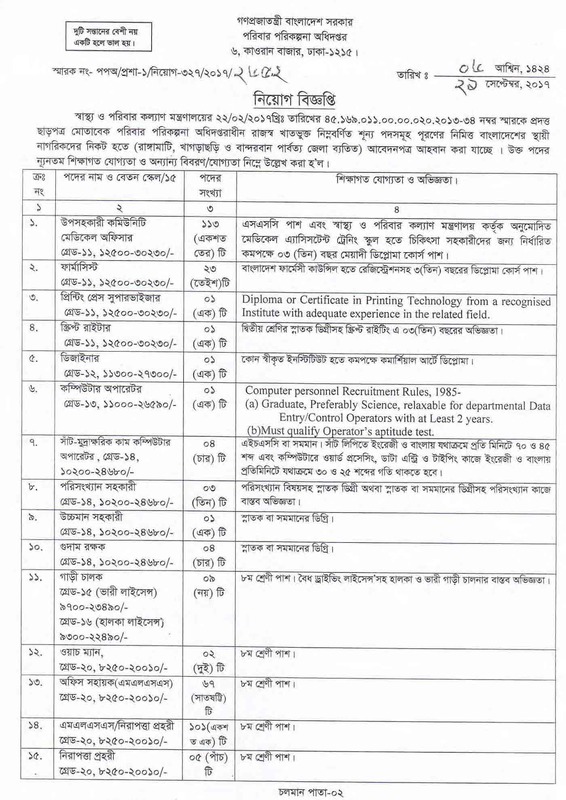 Directorate General of Family Planning is committed to provide family planing service to the people of Bangladesh. To provide necessary service personnel is essential. That’s why DGFP published a job circular to recruit some young people to provide family planning service. 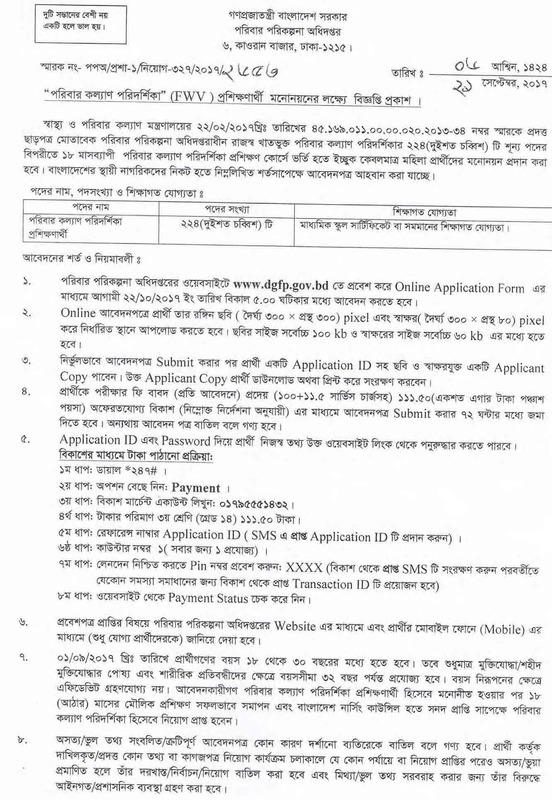 Application Fee : For Family Planing Inspector (FPI) and other Third class (Grade 11-15) categories 111.50 Taka and fourth class (Grade 20) application fee is 56 Taka. Requirement for Online Application : Color picture which dimension 300 x 300 and signature dimension 300 x 80. Size of the picture should Maximum 100 KB and signature 60 KB. After submitting application form applicants will get an applicant copy. Applicants should reserve this copy for further use. Application fee should be paid within the 72 hours after submission of application form. In the application a USER ID will be given. With that ID payment should made through bKash. Step – 7 :Check your payment status from website. If you have all qualification of this apply as soon as possible. Don’t wait for deadline. Sever would be busy after 20 October. 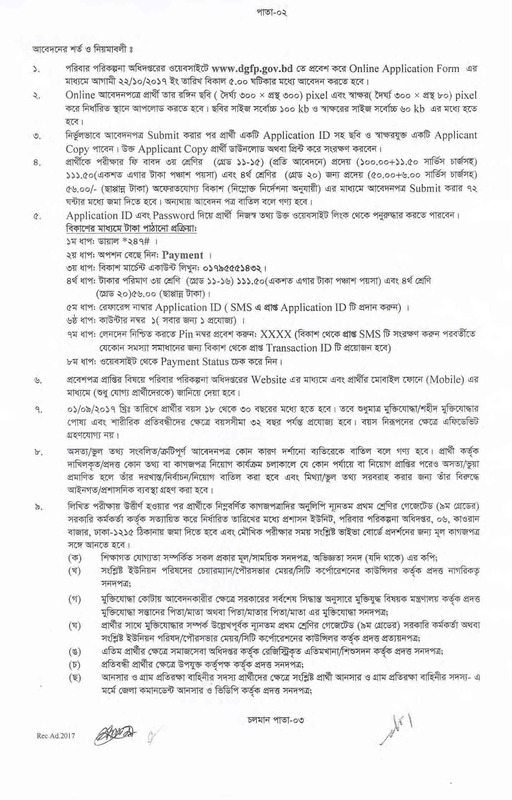 Please share this job with your friends and dear one to tell them about this job circular.